Debbie Koenig first tried dragon boating as part of a wellness overhaul, but it didn't take long for her to become a regular. This year, she's the ambassador for the sport's Big Blue Dragon Boat Festival. Debbie Koenig was preparing for Christmas when a phone call from her doctor derailed her holiday cheer. Debbie's mammogram — only her second since she began having the screening test at age 40 — had revealed a suspicious lump in her breast. Debbie was stunned. She was young. Healthy. Surely this couldn't be cancer. But further testing would reveal that indeed it was. Debbie had a malignant tumor in her breast. She had a lumpectomy and several lymph nodes removed during surgery on New Year's Eve, followed by 16 weeks of radiation. And as the La Crosse Tribune reports, she's "been cancer-free ever since." That was more than 20 years ago. Today, the healthy 61-year-old survivor is sharing her story as part of her role as the Breast Cancer Survivor Ambassador for the Big Blue Dragon Boat Festival in La Crosse, Wisconsin. The event, sponsored by Mayo Clinic Health System - Franciscan Healthcare and the Boys & Girls Clubs of Greater La Crosse, raises both awareness and funds for the sponsors. It's also a lot of fun. Just ask Debbie, who tells the Tribune she was "bitten by the dragon" after participating in the inaugural event back in 2013. "I was not a sporty gal, but dragon boating is energizing," Debbie, a longtime Mayo Clinic Health System employee, tells the publication of the sport, which involves teams of 20 paddlers and one drummer powering long, canoe-like boats through the water. Debbie initially tried dragon boating as part of a wellness overhaul she was giving herself. "I was looking for exercise and to make lifestyle changes," she tells the Tribune. "Between dragon boat practices, other exercise and lifestyle changes," the paper reports that Debbie "shed 50 pounds — and had fun doing it." She's participated in the races every year since, paddling with a team of breast cancer survivors who call themselves the Mississippi Sisters. 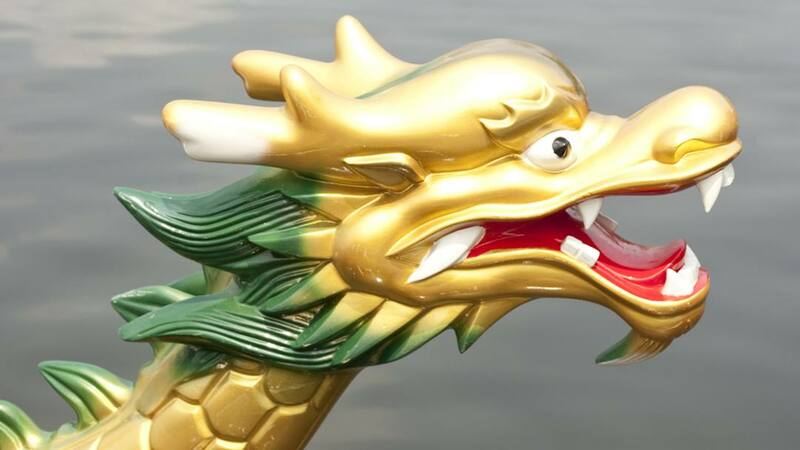 As we've reported before, dragon boating gained a connection to breast cancer after a Canadian doctor challenged the conventional wisdom that advised against exercise for breast cancer patients. "He believed the teamwork could provide emotional support while the upper body exercise would help prevent lymphedema," according to MayoClinicHealthSystem.org. Research has proven the good doctor correct, and there are now around 150 teams of breast cancer survivors who race dragon boats throughout the world. In June, many of those survivors — including Debbie and four of her Mississippi Sisters — will "travel to Florence, Italy, to paddle in the International Breast Cancer Paddlers Commission Participatory Dragon Boat Festival," reports the Tribune. If you'd like to try paddling a little closer to home, considering participating in the La Crosse event, which will take place Saturday, July 21. Learn more and register here. Then make a splash by leaving a comment below before using the handy social media tools atop this page to share this story with others. Explore Mayo Clinic Health System in La Crosse.